Cut legs (shin) into several parts. Boil legs, pork, carrots, bay leaf, pepper, spices for 4-5 hours over low heat. Strain broth, put aside. Remove legs and carrots. Cut meat into slices, add garlic. Put meat in a bowl and pour broth in which cooked shin, so that meat then sticks together. Eat with bread and smile. 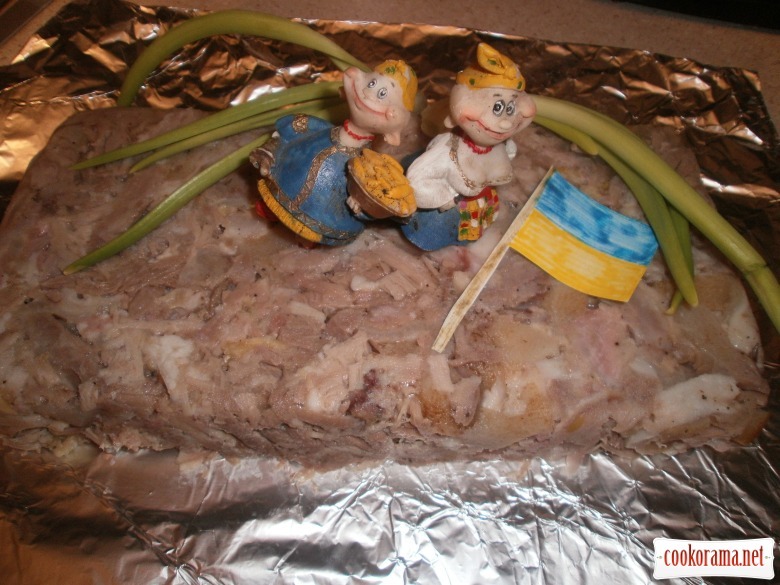 Top of recipe "Ukrainian headcheese"
Люблю таку штуку, але у нас якось не так називається.